smiley heads, originally uploaded by ordinarymoment. a little across from the farmer’s market is a super cool antique mall in a big old brick warehouse building with lots of worn wood floors + interesting still lifes in every corner. didn’t end up buying anything but had a great eye candy browsing experience. the hippest antique store we’ve ever been to. 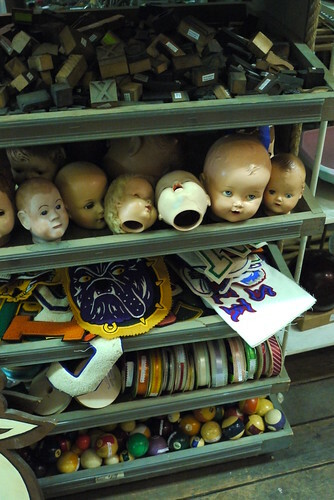 here’s some creepy doll heads!